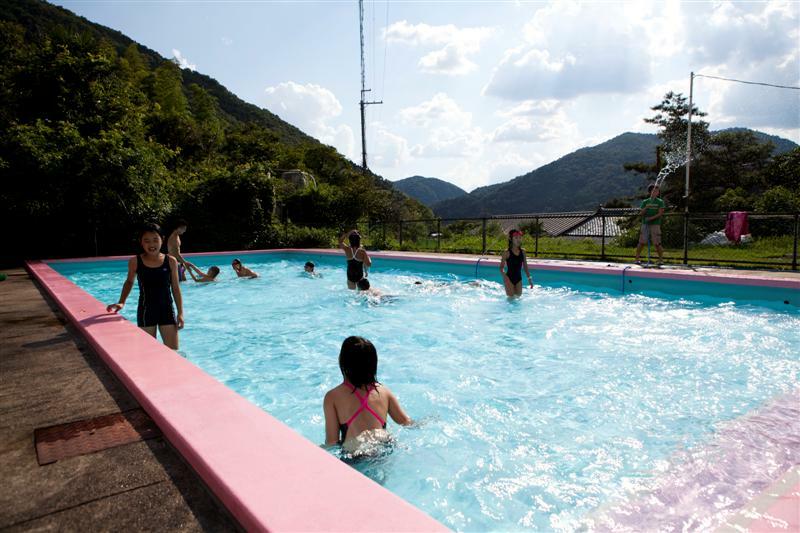 Here’s guest contributor, Sara Ai Coe, with an update on the TA Project’s summer camp for Fukushima children. Last time I wrote about the TA Project for Deep Kyoto, I was the outsider looking in. I was so inspired by the passion of the guys involved, that I wanted to write and share this wonderful project. Shortly after, I was invited to join them and it’s been an invitation I’m so thankful I accepted. So now I will write this as an insider, as a member of the TA Project and share the experiences of the TA Camp 2012. It’s now over a month since the camp and this write-up is well past its expiry date. A thousand apologies. We’re yet to close the lid on ‘TA camp 2012’. We’re still going through paper work, reports and of course the thousand thank-yous we owe people around the world. We started this project with no charity experience. We all work full time jobs, so for all of us to come together and plan this camp was a little miracle. But we were driven by one common goal: to invite the kids from Fukushima for a four-day camp so they could play freely without any risk from radiation. The four-day camp took place in the countryside of Osaka Prefecture at a place called Nose. Just about an hour out of Osaka city, the concrete jungle is replaced with green mountains and rivers. This place looked like something out of a Ghibli film. It was the perfect place for these 12 kids to run wild and reconnect with nature. It was also the perfect place to reconnect with nature for the TA team who usually spend their weekends in the concrete jungle getting ‘cemented’… what ever that means… that sounded better in my head. We really underestimated the energy these kids have. Even the most energetic and hyperactive team member (a.k.a Takumi) was left with an empty fuel tank every day. They would get up before 6 am, eat breakfast, go swimming, go canoeing, go swimming, eat lunch, go swimming, go cut some bamboo trees, go swimming, eat dinner… You get the idea. We also underestimated the amount of food these kids can eat. They can eat everything and anything. We had to get creative by catching some crabs and fish in the river and frying them as snacks (true story). Luckily on Day 3 we had our personal chef Muchi arrive with his amazing, fantastic and divine cooking skills (I can’t praise this guy enough). Muchi being an Italian chef, the kids were able to delve into some gourmet meals. The biggest objective of the camp was for the children to play. Each day was planned with activities from day to night. 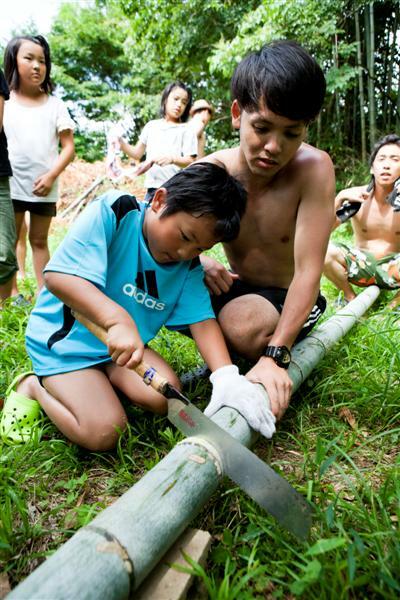 Activities included canoeing, making lanterns, cutting up bamboo trees (how wild is that?) making chopsticks, fishing, but I think the children’s favorite activity was going swimming in the pool. They were pretty disappointed on the last day when they found out that they were not only NOT allowed to go into the pool but they had to actually CLEAN it. ‘Playing’ was the theme but we also wanted to make sure these kids cleaned after themselves and showed some manners. The boys in the group even learned a new phrase from Taji: ‘Ladies first’… It didn’t go down too well with the boys, but we’re hoping maybe it will be useful for them in the future. We were so caught up with making sure these kids had a good time playing, that we regret not really having a proper talk to them about what happened in Fukushima. Because even though they are all smiles, we know that deep down they have been going through a hard time. Even with the brief conversations we had, some expressed that they hate going to sleep because they think about death, and also others expressed how terrified they were hiding under the desk when the earthquake hit. We’re thinking a little talk session is something we can incorporate for next time. Another great thing about the camp was that we were able to experience the kindness and generosity of our friends and people whom we’ve never met. We really wish we could thank each and every one of you. Thank you to those who contributed to the Indiegogo campaign (a big thanks to Gerald and Voice Kobe for their very generous donation). Thank you to those who donated in our donation boxes. Thank you to those who spread word about our campaign on Facebook, Twitter, blogs and other mediums. Thank you to those who contributed prizes to the Indiegogo campaign. Thank you to those who contributed food (meat, rice, cake, cookies). Thank you to those who came to our camp and lent us your time, skills and love. And thank you to those who continually supported us with words of encouragement. You guys kept us going and made the camp that much more amazing for everyone. No doubt both the children and the TA members made some great memories from this camp. However we don’t want it to end with just memories. Now we’ve made a connection with these kids, from here we aim to build a relationship. And the key to a strong relationship is communication. We want to keep in touch with the children, hear about what’s going on in their lives and hear about their progress. We also plan to visit them in Fukushima in the next few months. We’ve been talking about going there and surprising them with a winter bbq. We also want to build a strong relationship with the people who continue to support us. We want to keep people updated with our progress, our plans and also present more opportunities for people to get involved. Although we still haven’t 100% digested TA Camp 2012, we’ve started talking about a TA camp 2013. From what we learned from this one (and we learned like a zillion things) we want to create something bigger and better for 2013. We want to invite more children and we also want more people to be involved. We’re even thinking of a change in location. One child even requested we have a winter camp in Hokkaido next year… Great idea kid, but I think we’ll have to start fundraising like right now! In the last few months we’ve really started noticing that Japan is changing; from the nationwide ‘Anti Nuclear Power’ protests, to people fighting for their right to dance with the ‘Let’s dance’ law change. It seems like more people are standing up for what they believe in and fighting for their future. It’s beautiful and empowering. And we’re really happy that we’re part of this change. We really hope more people will start leading Japan to a brighter and stronger future. Thank you for your support. Product of a crazy Japanese mother and Kiwi father, Sara moved to Japan in 2009 after leaving her job at a television network in little ol’ New Zealand. Having a serious case of FOMO (Fear Of Missing Out), she juggles 3 jobs, but her main job is being a promoter and booking manager at an independent record label in Osaka. 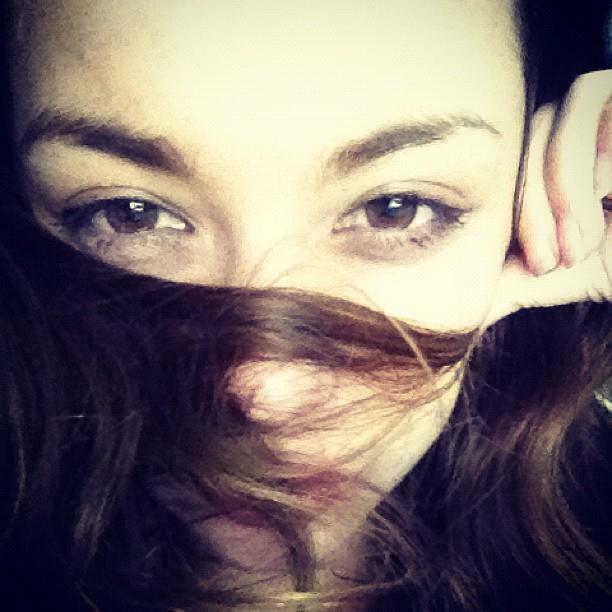 Sara enjoys telling stories and she tells them through photography, audio documentaries and writing. Her guilty pleasures include: procrastinating, wearing socks to bed, Kanye West and drinking copious amounts of coffee. You can read her former posts for Deep Kyoto here: LINK.